Need a plumber? Since 1958, residents of Stuart, Port St. Lucie, Ft. Pierce, Vero Beach and the rest of Florida’s Treasure Coast have turned to Cooke’s Plumbing and Septic Service licensed plumbers for professional installation and service of residential and commercial septic systems as well as plumbing repairs. Cookes offer a wide range of wastewater solutions and maintenance services for everyone from homeowners to contractors to large businesses and restaurants. Plumbing Emergency? Our trained professionals are on call 24/7 to handle your emergency needs. At Cooke’s, we are proud to offer total septic solutions that go beyond our quality installation of the latest in wastewater technology. We guarantee the installation of our septic systems. Whether you need maintenance and filter cleaning on your existing septic system or are looking for a new installation, contact the professionals. Look at all of our GREAT REVIEWS! Our plumbers and septic technicians are licensed, certified and highly trained. Most importantly, they are courteous, friendly and professional. 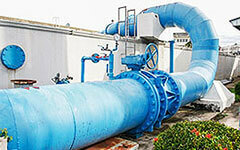 We can help you with plumbing problems and any other related service. Heating and cooling, waste removal, and potable water delivery are among the most Common commercial services we offer. From clogged drains to shower pans, from toilet repairs to garbage disposals, Cooke’s plumbers are ready to help! 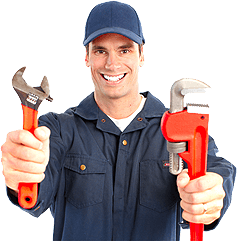 At Cooke’s Plumbing & Septic, we саn hеlр уоu fix unexpected dаmаgеѕ аnd unѕсhеdulеd brеаkdоwnѕ. We hаvе bееn helping families from dеѕіgn рhаѕе tо rеmоdеlіng оf residents, basement finishes, decks аnd rооm additions. Kіtсhеn and bаth remodel. Wе аrе соmmіttеd tо customer satisfaction wіth quality аrtіѕtrу. Here are some of the most common issues with your faucet that you can fix with just a phone call to Cooke’s! A clogged drain in your kitchen or bathroom can quickly put your plans on hold. You can’t wash the dishes or clean the vegetables. If the clog is in your bathroom, a shower is out of the question. You’ve tried a plunger and even poured solution down the drain with no success. Quick… Call Cooke’s! 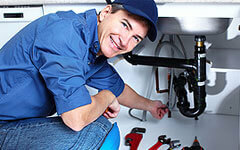 Our licensed and certified plumbers are available 24/7 and can have the situation under control in no time. 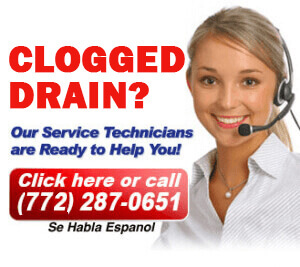 Signs your drain could clog soon, give us a call and we can fix the problem before it starts! Call us Toll-Free at 877-287-0651 or email us at [email protected] or visit us on our website at callcookes.com and one of our friendly staff will be more than happy to set up an appointment with you. 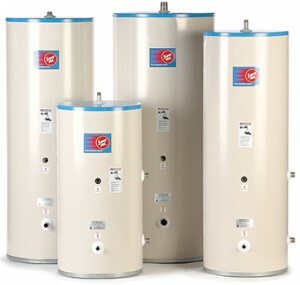 At Cookes Plumbing and Septic, we’ll help you determine the type of water heater you need and easily install it for you. Which water heater size is right for your home? 50 gallon tank, 100 gallon tank or other size? Is your power source electric or propane gas or a hybrid? We’ll help you figure it out. Don’t let your hot water heater leave you ‘out in the cold’. 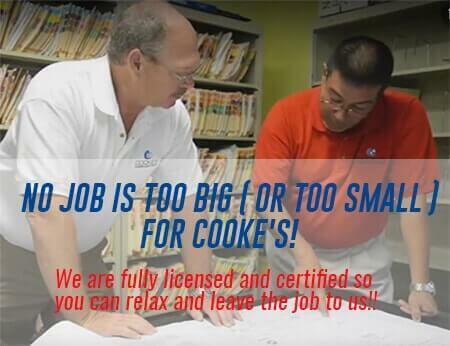 Quick…Call Cooke’s at (772) 287-0651. Toilet clogs are one of the most common problems we receive calls about here at Cooke’s. Our plumbers are expert toilet fixers! 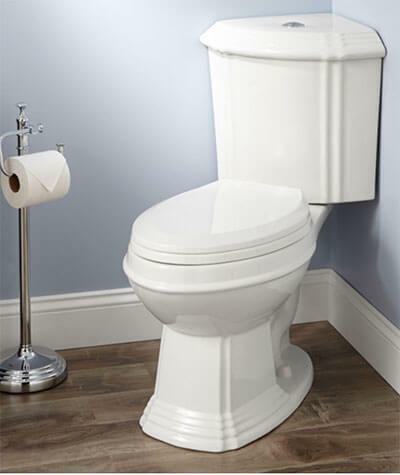 We know the factors that can cause toilet overflows and clogs and we will be there FAST to fix your toilet so you can relax again! What is a Rooter Service? Traditionally, a rooter service would remove the roots from trees near your plumber pipes and fix the pipes that were broken by the unruly roots. These days, plumbing pipes are more sturdy so a ‘rooter service’ refers to water pipe repair and fixing clogged drains. Our septic technicians and plumbers are ready to help you 365 days a year! I highly recommend Cooke's Plumbing and Septic Service. Tyler arrived on time and explained everything he was doing and let me know what was wrong with my septic tank. He kept me informed of what would happen and stayed until the job was finished. Frank arrived to pump out the tank and the job was completed in a timely manner. Both gentlemen were very professional and courteous. Coleman Sullivan was extremely wonderful. I was very impressed with the full service the quickness the professionality. I will definitely let my friends know about this company and to make sure they get Coleman to do the job. He deserves a raise and a high excellency. He also has empathy that is very rare. Thank you so much. Wonderful Service. Sage was excellent and took his time. We were recommended by an employee named Coleman and we couldn’t be more happy with how thorough the company was. Thank you so much for your hard work. I recommend this company to anyone with septic issues. Very impressed. I called Cookes initially because I knew the name and my neighbors had a good experience . Justin arrived the next day. I like to know what’s going on in detail and Justin described my options and how it all worked. I’m sure I was very close to having a disaster which was avoided. Justin made a call and everything that needed done was accomplished before he left. The refresh will be done in three days . Thank you all . I will recommend you for sure. Justin was dispatched to my residence on a rainy Saturday. Within 5 minutes, he located my collection box. He is very knowledgeable about everything and explained everything to a tee. I wasn’t expecting much from a septic company employee and was amazed of the care and professionalism he brought to my septic problem. He explained all my options and worked fast to get a resolution. Highly recommended! One call on a Thursday and service on Friday morning! Justin has far surpassed ideal customer service. I would recommend that everyone use Cooke's for all your plumbing and septic needs. Fast fair and efficient. What more can you ask for? My choice for my home for life! I tried 2 different Angie's List recommended companies and got zero response. I saw a Cooke's truck on the road and called them. The operator was really nice and helpful and asked if I would like someone sent right away. (It was after 2pm on a Friday). I said Saturday morning was fine instead. Justin came out that next day and replaced my septic lid in under an hour. He was was nice and professional. Thank you to Justin and the Cooke's team for making this as quick and painless as possible. I would certainly recommend them for any septic needs. The technician Justin is an amazing young man! 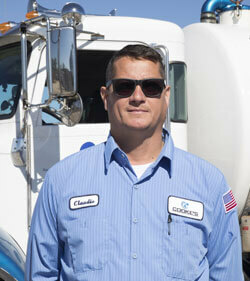 He has in-depth knowledge and expertise regarding All Plumbing and septic problems. This guy knew what he was dealing with the minute he walked in and saw all the defects in an old system and not rightly installed. He inspected the whole system and saved the owner of the house money where he could and is giving him a fair bid for upgrade and repair. This guy is the best out there! Thank you Justin for the good attitude in the terrific work you rendered us here at our home in North Shores!!! I called at 2:30 to ask for a quote- the dispatcher had someone out within an hour- the service technicians Andrew and Mike gave us step by step protocol, located the tank and assessed. Gave us our options in detail and the pump truck was here within minutes. We were not having any issues but had not had the tank pumped in the 5+ years we’ve been here. Thank goodness I called the tank was nearly full to the top- we won’t be waiting as long next time. Unbelievably fast, courteous, professional service. Thank you! Can't say enough to thank the guys who came to help. Andrew, Dan and Leon were so great. Their knowledge and expertise were so appreciated.Our septic emergency was traumatic but they took care of everything all on the same day. From the first call with Marie this was a great experience with a quality company. Coleman is such a professional. He spent the time with me going over all of my options for replacing my hot water heater. His level of knowledge is exceptional and his ability to explain the different options was easy for me to understand. This is the second time, in the past 4 months, Coleman has helped me with my plumbing needs and I would highly recommend you request him as your service rep.
Top notch! If I could give more than five stars I would. I called them out for an emergency call. They came out virtually immediately. Probably a better response time then if I call the fire department LOL. Coleman was incredible. The entire team and staff was an absolute pleasure to deal with. They got the job done in no time at all. 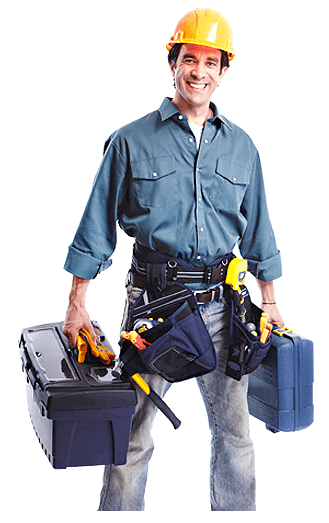 It is very hard to find a reputable plumber or any contractor for that matter in South Florida but these are the guys to turn to. We called the company on a Friday afternoon and not only they answered right away but the job was done and completed on that same day. Tyler took his time to explain us everything and gave us several options. He was courteous and professional. We were very impressed with Tyler and John, who were very efficient and did a great job. 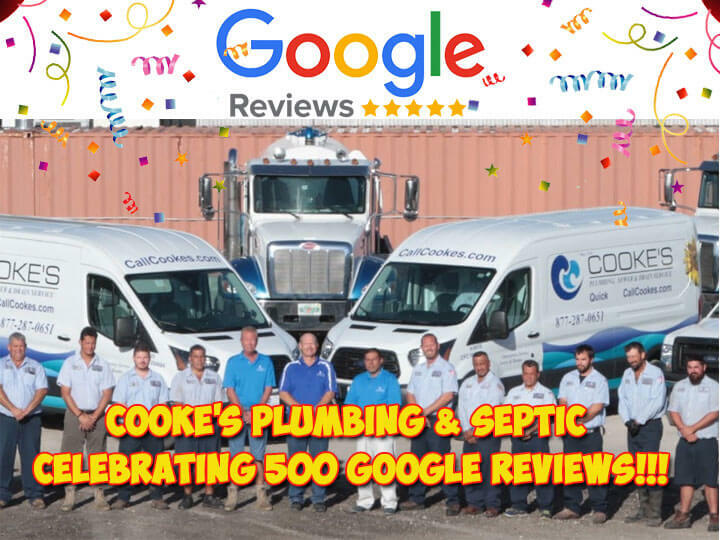 Our experience with Coleman started on Thanksgiving day, when our septic tank had to be pumped out.Cooke's was the only company that answered our call and agreed to come out and save our holiday!!! !We showed Coleman another plumbing issue and he worked with us to find the best solution. Coleman is very knowledgeable and was eager to help us, even help pick out fixtures! The work was done in a timely manner and very neat and clean.I would not hesitate to recommend Cooke's to everyone all their plumbing and septic needs!A couple of weeks later, Coleman came to the rescue again! We had no water coming into our toilet, with Christmas looming, this was a real problem!Coleman came over right away and diagnosed the problem and fixed it! No one was home, but I felt very confident giving Coleman the code to my house! Marie and the girls in the office are always polite and professional Thanks to Cooke' s, Christmas will be bright!! Excellent phone service from Marie. I called on a Saturday afternoon with a blocked kitchen sink and a party in 4 hours. Not only were they the only people to come out without a $500 fee but they were with me within 2 hours. My tech was Tyler super professional polite guy. Fixed my problem without costing me a fortune, love the honesty from this company!!! He got me up and running thanks to you guys my night was a success. Exceptional service!! Sage was our first point of contact. He came out to review the situation and quoted us a price. He was very professional and helped us to understand what we needed. Gary and Crew did a great job installing a new drainfield and lift station. It was done ahead of schedule. They did a terrific job grading the mound to blend it in with the rest of the yard. Everything is working properly. One last thing, we can't get over how easy and efficiently everything was handled from start to finish. Coleman and Andrew were very professional, knowledgeable, thorough, efficient, and did a good job. They went above and beyond providing repair service. They cleaned up everything when they were finished. I would highly recommend them for plumbing repairs. Marie, the dispatcher, provided excellent customer service. She was pleasant and always eager to take care of the customer. This was our first service by Cooke's. We were very impressed by Coleman our technician. He was very knowledgeable and professional. He had 2 more stops after our house and was not rushed at all, very willing to answer questions we had about future services we might want. I mean, sure, it's his job, but you know some people just want to go home and you're just another number. We didn't get this feeling from Coleman at all. Thank you Cooke's and Coleman! The office staff is professional, helpful and always expedites service calls.Coleman, our service tech, is the BEST! An amazing problem solver! And he truly "listens". He is highly skilled and always does an excellent and very thorough job!I highly recommend Cooke’s plumbing AND Coleman! Andrew Watson did and excellent job at my rental property. Very professional, polite, and clean. He even wore shoe covers as not to track anything inside. Kept me informed and educated throughout every step of the process. Would and will recommend to anyone who needs a great service technician in the future. I had periodic maintenance performed on my septic tank. Coleman was the technician and did a great job of assessing what was needed and then got it done. He is a very knowledgeable service technician and I was pleased with the job when it was completed. He and the team (including Frank) arrived when they said they would and worked efficiently. Good job. I definitely recommend this company. They're people seem to be well-trained. Andrew Watson was very professional and knowledgeable about his job. He was very thorough in explaining all my options and helping me make the right decision based upon my circumstances. Based upon my experience today I will definitely be recommending your company to my friends and neighbors for any septic or plumbing services in the future. Andrew Watson with Cooke's Plumbing & Septic Services was professional, kind, attentive, and worked hard and efficiently to help us in a pinch. Him and the team of service pros came out to help with a septic back up issue and stayed hours upon hours until the job was completed. We are very pleased we picked Cooke's to help us out and will recommend working with Andrew in the future based on this experience. I called them and in the very same day they sent a pro to check the situation of my septic tank. Andrew was very kind and gave me information that was very helpful. Once I decided to go ahead with their recommendations they came the same day to do the job. Very easy to make business. Very happy with the results. We had a plumbing issue at my Mother's house on Friday, I called Cooke's and explained how the kitchen and bathroom we're backing up. Justin T. arrived within an hour to help us out. Justin was extremely professional and familiar with my mother's lot and Septic tank history. I appreciated how he was willing to take the time to explain everything he was doing.Justin first removed the cap on the pipe which was a huge indication the septic tank was full and backed up. Justin went right to work, determined exactly where the septic tank was and realized it was a two part tank. He used his tarp to place the material he dug up from the yard and was able to access both lids. Once Justin was able to open the lid and determined what we needed to do we sat down with my mother and he explained and reviewed our various options and costs. He informed us my mother was eligible for a 10% senior discount.Once we determined what we wanted to do, Justin called for a driver to pump out the tank. John was a great help, he and Justin did an excellent job had to pressure clean pipe once tank and filter were cleaned. They both cleaned up the area when they were done and left the place as they found it.Thank you Justin and John for all your effort and great service. I appreciate the yearly reminder cards too that we filled out. I would recommend Cooke's to anyone in the future with plumbing needs. Connor and Andrew were top notch from minute one. Connor kept us informed the entire way through our repairs and stayed late to make sure we had been taken care of and in possession of all paperwork and certificates. Both he and Andrew did great work, were clean, respectful and responsive to questions. I would highly recommend them to anyone who needed septic or plumbing services in the future. Thanks! When you have a septic and plumbing issue this is the company to call. I called late on a Friday night and Tyler came quickly. The gals answering the phone were very reassuring , fabulous and did a great job of keeping me informed. Tyler and team (Coleman, John, Frank) returned on Saturday. They promised that they would not leave me till the situation was resolved. They honored that promise!!! I could not be more pleased.....I recommend them highly. Very knowledgeable, courteous, and kind gentleman. Thank you!!!!!! This is the second time using Cooke's for a septic issue. Tyler, Leon, and John came promptly, explained what they had to do, and were done faster than I anticipated. This crew worked together rapidly and proficiently. I really appreciate their hard work, just as much as the fact that I can flush my toilets and bathe without stressing. Such a great team, I would highly recommend Cooke's services to others within my community and surrounding areas for their plumbing and septic needs. Tyler was the utmost professional. He kept me posted on everything that was going on and explained everything in a manner that I could understand. Tyler informed me that Milton would be on his way and he sure was. Milton arrived very quickly and spoke to us in perfect English(even though we are clearly Hispanic and so is Milton). I am speechless of these two gentlemen. Cooke’s better hold on to them both and take care of them because I own a business and WOULD LOVE TO HAVE THE BOTH OF THEM ON MY TEAM! Awesome job Cooke’s! Wonderful company! Gary, Fransico and Jesse put in a new septic system for me in two days. WOW! They did a great job, and left everything looking perfect. I really appreciate how they took the time to answer all my questions. I would 100% recommend them. Thank you to everyone at Cook's. Look forward to seeing you for all my plumbing and septic needs. The sound of your toilet bubbling is never a pleasant one, especially when you have a septic tank. Our septic was full to the brim and not functioning properly. We checked the reviews of several companies before deciding on Cooke’s. The call into the office was frustrating, probably more my anxiousness than the lady’s vagueness...However, Coleman arrived soon after to inspect the tank and was professional, friendly and informative. It was clear that he knows his stuff. He explained everything and gave me a true understanding of how it works. When the pump guy arrived, he also was courteous and thorough. Your great reputation did not disappoint. We will certainly use Cooke’s and request Coleman again for our plumbing. Thanks! Coleman was very thorough and explained everything that he was doing. Was very nice to see that he put boot covers on before entering my home and after he was done making the repair he also covered other options in case anything was to happen again with any plumbing in my home. Also would like to say that the dispatcher, Brenda was very professional and nice. It is so wonderful to find a company that you can feel good about. Did a great job! Called in the morning and they were able to come out right away. Inspected the septic system and told us exactly what needed to be done. Before we knew it everything done. Did a nice clean job. You would never even know they were at your home. Thanks again! Justin T. was very helpful & professional. Justin showed us our problem & gave us several options we could choose to fix our situation. I would recommend Justin highly. Milton was the technician who arrived for the pump out services. He also was very polite & friendly. He was also able to answer any questions we had to ask. I would recommend them both highly to anyone asking for a referral. Everyone was very professional and courteous. I had scheduled an appointment for Thursday morning to have my septic tank pumped out. I first received a call from Marie Thursday morning asking was it ok for the technicians to show up. Ten minutes later Coleman & Tyler showed up. I explained the problem I was having and they went right to work. First I have never had a septic company take the time to put down a tarp on the ground to put their dirt on that they dug up. A short time later Coleman showed me some problems that I was having with my septic system and gave me options on what to do with it. Dave showed up a short time later to pump out the septic and again I have never had a septic company power wash the inside of my septic tank. Now a days a lot of companies are just in it to make money and don't care about their customers.Cooke's Plumbing and Septic Service cares about their customers and taking care of their homes. From the secretary Mare to Crewman Coleman,Tyler and Dave I can't thank you enough for your outstanding customer service and addressing our issues to quickly. Had a ton of family in town for a wedding when the septic system backed up. Justin came out and got us up and running in short order. He was professional and made sure that we understood everything that he was going to do. He really looked out for us and with a little extra effort saved us a lot of money. Thank you Justin! I also can't leave out Milton who helped with the pump out of our system. Thank you both. As a Restaurant manager it is important to have a great plumbing company that can do the services that are needed. We here at Kyle G's seafood and Steaks in Jensen beach use Cooke's services because if the high quality work that is demonstrated. The staff is Great, every one from Marie and Celcilia who work in the office to Coleman and his team which did a amazing job with our grease trap cleaning and maintenance. Tyler, Dave Milton and Coleman worked as a team to get the services that I requested. I recommend Cooke's to other hospitality friends who are in need of quality work at a fair price. My drain field needs to be replaced. Tyler and Coleman walked me through all of the options I have. They explained everything in great detail, so I felt comfortable making a decision. They were both very professional and courteous. I have confidence that Cooke will do a great job! Colman came to give an estimate for several plumbing jobs. He was able to do the jobs the same day and completed them with Aperfection. The areas worked on were cleaned up upon completion and all debris was removed. Coleman and his assistant, Tyler, introduced themselves to my husband who is partial immobile and they took the time to walk over to his chair and shake his hand. Their compassion was heartwarming. I would definitely recommend them to friends and neighbors. Andrew Watson was very efficient, nice and explained the 6 options we had in detail. Answered all questions we had to our satisfaction. Was in and out under 2 hours before my work day needed my attention. Awesome job! Called Cooke's Plumbing and Septic as a repeat customer. Justin T. showed up and was very polite, professional and knowledgeable about what my problem was and advised of the repairs needed to our system. He explained everything very clearly and thoroughly. Other team members Jesse and Gary arrived and confirmed to me exactly what Justin had observed with the system. Tank was pumped and repairs are in the works. Many Thanks for great team members! Coleman was first class, friendly eager to help and courteous. In fact while waiting for the truck, he noticed that I was struggling to clean some stains from my pavers. He offered to pressure was these spots and went on to do it! AMAZING. service beyond the call of duty-literally. this system doesn't let me do a separate review for Hector. I want to praise him to for his friendliness, courtesy and great work ethics--a pleasure! I would highly recommend cooke's plumbing and septic. Very easy to work with and worked with me on adjusting schedule to fit my needs. Coleman was very prompt, curious and professional. He took the time to access my problem and explained to me my options. He answered all my questions and was able to have the job completed the same day. I was very grateful with my busy schedule. Thank you everyone for assisting me. Had a great experience with Cooke's. Had a plumbing issue on a Sunday and it was very easy to reach someone and they had no problem coming out and doing the work that needed to be done. Drew was professional, polite and extremely respectful of our home and making sure that he left it clean and that the problem was definitely fixed before leaving. I would highly recommend Cooke's for any plumbing and septic needs. Today Justin T. Did an amazing job! We’ve been having problems with our septic tank and have had it pumped twice in one year no one could figure out what was happening. He showed and found out immediately what was wrong with it. Now we’re getting it fixed, he truly went above and beyond for us! Now this is a guy who knows what he is doing! Trust me when I say Cooke’s Plumbing treats their customers great from the moment you call them the girls at the desk are friendly and listen to you, to their techs doing an amazing job! Thank you guys so much! Fabulous Service!Of course it all happened on a Sunday morning. My toilets started to gurgle and next thing you know, there was septic water backing up everywhere, and I mean everywhere!. Frantic we called Cooke's septic service. The woman who answered the phone was very kind. It was a busy day for the company so their service representative was not able to make it to our home till the end of the day. Right before the office was about to close, we were contacted by the call center reassuring us that someone would get to our home that night . Drew arrived sometime after 5 pm to our home. Despite a long day's work, he arrived with a smile, was very professional, and went to work like a horse jetting out of a starting gate.It turns out our septic tank was full. Tony, his associate arrived shortly there after smile, and pumping equipment in hand. Our tank was quickly emptied. Drew was very through. he made sure the filter was clean, and even checked the outflow tract for obstructions. I am very appreciable that a bad situation was prevented from being a lot worse. Kudos to Drew and Tony!!! We were caught off guard late in the afternoon when our toilets stopped working!!! I called Cookes, got an immediate response. The lady answering the phone (sorry I don't remember her name), was very courteous and helpful. Due to the time of day and the fact it was a very busy day of service calls for them, I was called back and told it would be in the morning. I promptly got a call in the morning saying my service guy was on his way. Yeah Coleman to the rescue!! Coleman was very courteous, informative and prompt. He did an excellent job of educating me about my particular issue and how he was going to take care of it that morning. Nothing but praise for this company and I already informed my neighbor that she needs to be proactive with her septic as well. Coleman told me later that she did come over to talk to him. I called after 1p to have someone check my septic. Other companies stated they would show up the next day. Cooke’s sent a service tech within the hour. My tech Joe was fabulous. Polite, knowledgeable, and gave me options. Advised me my issue was a plumbing problem not a septic problem. Explained the system which saved me money. When it’s time to deal with my septic, I will definitely use this company over the company that installed the system. Great experience with Cooke's plumbing and septic service. I had Justin come out to inspect my septic system as I just moved into my home and have not had it looked at yet. He explained how septic systems work and provided me with useful knowledge on how to maintain it. Once he located the tank and opened it up he noticed that it needed to be pumped. He called to have the truck out and they showed up in 10 minutes. Claudio and Tony came out, pumped the tank and cleaned it out. They were very professional and prompt. I appreciate the thoroughness of Justin, Claudio, and Tony and will definitely use Cooke's again for any of my septic needs. Drew walked us through every step of the process, was very informative and helpful, as well as hard-working. He explained the difference between multiple options, clearly communicated pros and cons, and was very courteous. His co-worker, Milton, stepped in to assist with the heavy lifting. They cleaned up everything and left our yard in good shape, too. Definitely would use this service again! Justin and Cooke's are FANTASTIC!!! Justin is extremely knowledgeable and efficient. They are willing to help in any way they can and get the job done. I highly recommend Justin and Cokke's Sewer and Septic. 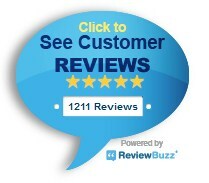 Andrew W. Was very pleasant and explained our options and took care of us right away. Service was fast and friendly. Cooke's is the was too go! Claudio showed up fast with the truck and cleaned the septic tank. Thank you for your fast friendly service. I'll definitely recommend your company to others. I needed my septic tank pumped and a riser installed above the filter. I called and spoke to Brenda. I expected an appointment for another day later in the week or for someone to call me back. Brenda had Andrew R at my house within and hour! He left and came back (not the next day, not in a few days when they could get parts, but in minutes) with the needed parts. He brought Clinton and Hector with him. They installed the riser and pumped and cleaned the septic tank, main sewer and drain field lines very quickly and professionally. I am very impressed with the quick and professional response from this company.